As a former driving instructor, one of the reasons I decided to create this website is to help parents and teens navigate through the drivers ed experience. I’ve created several articles on how to find the best Texas online drivers ed courses, but I wanted to create a fresh article for 2019. While not a lot has changed since last year, I always like to create fresh new reviews of online drivers ed courses because my rankings and advice do get altered a bit over time. New courses enter the market, older courses that used to be good become outdated, and many other things can change at these companies such as the quality of their customer service, app updates, etc. Learning to drive is one of the most memorable experiences in our lives, and good driving habits are formed early. During this memorable time, it’s important to receive the best drivers education possible within’ reasonable costs. With so many state-approved Texas online drivers ed courses available in 2019, the intent of this guide is to help make your journey into online drivers education a whole lot easier for both teens and parents. This section of my 2019 Texas online defensive driving course guide is mostly for the parents out there. If you’re a teen, you probably already know you want to take your drivers ed course online, but many of us old farts remember the days when drivers ed took place in a physical classroom. Now, as a certified driving instructor, you might think I’m against all of these online drivers ed courses in Texas, but you’d actually be wrong. Taking the “classroom” portion of driver training is much more effective when taken online. The honest truth is learning about driving laws, statistics, road signs, and safe driving facts is just plain ol’ boring in a classroom. By taking your driver education course online, the material can be delivered in multiple formats that are specifically designed for student retention. Not only that, but students can progress through their online drivers education class at their own pace, on their own time, and from just about anywhere on any device. No more forced class times. Students can learn when they are ready to learn. If you sign up for one of the best online drivers ed courses in Texas, you can expect to obtain the information through video, text, graphics, animations, games, interactive quizzes, and more. There is simply no classroom that can provide this type of information delivery and the retention rates are much higher when students take their course online. Just as an example, check out the below video that is in the Aceable online drivers education program. This is a 3D animation showing how to parallel park. If you’re on a mobile phone, turn your phone left and right to look around. If you’re on a desktop, use your mouse to look around. Do you honestly think a classroom could compete with this type of online driver training? By the way, the video from the course above is in my opinion from the best Texas online drivers ed course for 2019. You can get an automatic 10% discount on the course by using this link. Instructor-Taught Drivers Ed: If you choose the Instructor Taught Drivers Ed option, you will complete your classroom portion of your training online, then you will hit the road with a certified driving instructor for behind-the-wheel training. This is the traditional option and is used by students who already have an adult driving instructor such as at school or through a private drivers ed company. Parent-Taught Drivers Ed: If you choose the Parent-Taught Drivers Ed option (PTDE), your licensed parent or guardian can apply to be your driving instructor! This is a unique choice to Texas as most states require a certified driving instructor for behind-the-wheel training. So what’s the best choice? It’s all personal preference, really. Some parents don’t feel comfortable acting as a driving instructor or want to ensure their teen receives the best driver training possible. Other parents are perfectly happy to save some time and money by acting as their teens driving instructor. The choice is really up to you. Texas has a total of 12 state-certified online drivers education courses in 2019. As long as your sign up for an online drivers ed course that is specifically approved by the state of Texas Department of Licensing and Regulation, you’re good to go. I’ll give you a full list of all online drivers ed courses available in Texas for 2019 below, but first I wanted to give my TOP 4 PICKS for the best Texas online drivers ed courses in 2019. I chose these courses based on reputation, course quality, customer service, and honestly my own opinion as a driving instructor. I’ve actually gone through all of the below courses recently, as I do every single year, to make sure they are the best quality possible. Aceable is definitely a top pick for 2019 and for numerous reasons. Most of why it’s great, however, comes down to the fact that it builds the entire learning process around user engagement and multiple information delivery platforms. This was actually a newcomer on my list of best Texas online drivers ed courses a couple of years ago when they first launched. Yes, this is a newer company and they don’t have the decades of experience some other online drivers ed courses have, but this is hands-down the single most modern and technologically advanced online drivers ed course in history. They dumped millions of dollars into creating this product and it shows. If I were to recommend a Texas online drivers ed course in 2019 to a close friend or family member, this would easily be my top recommendation without hesitation. 2019 Update: Aceable has really proven themselves to be an industry changer. Even though they were already the best Texas online drivers ed course in 2018, they continued to make improvements and upgrades to their course material. Let me be blunt. If you plan on taking your online drivers ed course using a smartphone or tablet, Aceable is the course you want. Nothing works better on mobile devices than Aceable’s dedicated app. While Texas has many higher quality online drivers ed courses, Aceable is absolutely the best course by a wide margin. Get An Instant 10% Discount For Aceable Here! DriversEd.com may be my runner up, but this course is excellent. DriversEd.com is a great choice when you want the best of the best without any additional bells and whistles. While they just had a complete makeover of their course with 3D graphics, animations, videos, and interactive features, it isn’t quite as complex as some other options, making it easy to use and navigate. DriversEd.com started offering home-based drivers education courses before you could even take drivers ed online. Then, in the late 90’s, they launched their first online drivers education course in Texas. For the past 20 years, DriversEd.com has been one of the most popular and well-regarded online drivers ed courses available in Texas. From their U.S. based customer service team to the course learning material, this is up there among the best. Another plus? They even have their own fleet of behind-the-wheel driving instructors and vehicle that you can get at a discount! 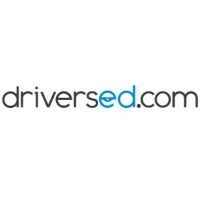 2019 Update: DriversEd.com remains a great option in 2019. Even though they didn’t make too many updates over the past year, they are planning on making some big improvements to their behind-the-wheel vehicles this year. They are beginning the process of getting rid of older vehicles and bringing in brand new ones. If you plan to go with the Instructor Taught Drivers Ed option in Texas, I highly recommend DriversEd.com in 2019 as they can take care of everything for you. Get An Instant 5% Discount On DriversEd.com Here! Prior to 2019, I did not list Driver Ed To Go on this list of recommended drivers ed programs. I’ve always liked Driver Ed To Go due to their price as it’s cheaper than many other courses, but the course quality left a bit to be desired. That all changed as Driver Ed To Go has recently made a ton of improvements. Fresh videos, updated content, and a complete change in the user interface has made this one of the best online drivers ed courses in Texas for 2019. The best part is the price has stayed the same even though they’ve made all these improvements. Due to the low price and higher quality content that was updated, I feel very confident in making this one of the online drivers ed courses I recommend. iDriveSafely has historically been an online traffic school and defensive driving course. I frequently list them highly in my online traffic school reviews, but are they any good for taking drivers ed? They sure are! Like DriversEd.com, iDriveSafely has been around since the late 90’s. You can take the course on any device, from anywhere, and you can pause the course wherever you want. Like my other top choices, this online drivers ed program delivers the information in multiple formats including video, graphics, cartoons, animations, and interactive features. They also have 24/7/365 customer service available that is based right here in the United States (Carlsbad, California to be exact). While this isn’t exactly my top choice, it is certainly an option worth considering. 2019 Update: iDriveSafely didn’t see too many updates over the past year, but they did make some improvements to their “identity verification system.” Texas requires online drivers ed programs to verify people’s identity so that they know you’re really the one taking the course. This system was prone to malfunctioning in previous years, but it has been totally revamped and is no longer causing issues. I usually recommended iDriveSafely anyway, but with these improvements it’s an even better option in 2019. While I believe the best Texas online drivers ed courses for 2019 are the ones I listed above, you have additional options. These below options will work just fine and while the quality will vary from course to course, they will all get the job done and must meet all Texas state requirements to maintain their certification. Here are the other choices you have if you don’t like my top 4 picks above. Who Can Use Online Drivers Ed In Texas? Fortunately, Texas is very giving when it comes to taking drivers ed online. Whether you’re a teen or even an adult who needs to obtain a driver’s license, you can take your classroom requirements online. There is no special permission needed as long as you sign up for a state-approved online drivers ed course in Texas. So just pick a course, sign up, and get started! What Elements Make An Online Drivers Education Course The Best? Along with these basic elements, it’s also important to think about what it is that you’re looking for from the best Texas online drivers ed courses and then match up what they offer with what you need. This way you can find the one that is best for you and your needs. There are numerous programs out there, all claiming to be the best Texas online drivers ed courses in 2019. But which ones are really worth your time and attention, and which are worth skipping over? Again, it’s vital to think about your specific needs here, but you can always keep a few basic points in mind to help you find the program that is best for you. With that in mind, check out my three top picks for the best Texas online drivers ed course along with the other state-approved courses I listed. Consider my reviews, read reviews from other sources, and ultimately just go who you feel the most comfortable with. As long as it is state-approved. you have very little to worry about. Best of luck to you and remember to drive safely!